There's something incredibly freeing about making your daily commute on two wheels, so how about a new navigation device that gets you where you to go while tapping into that sense of adventure only a bicycle can bring? 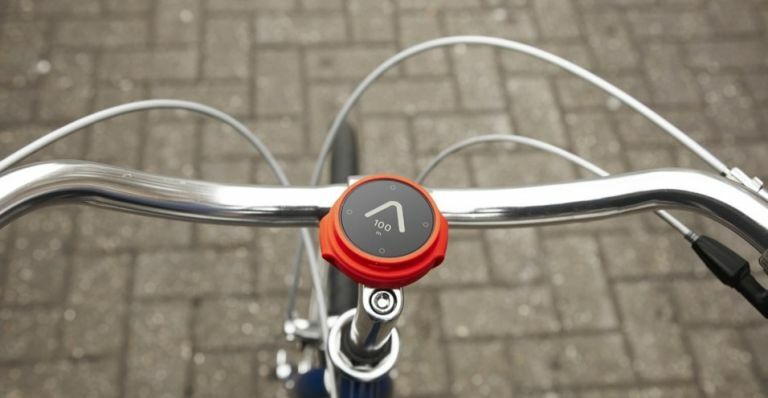 The BeeLine, a handlebar-mounted system that strips away the usual minutia of using a sat-nav and instead uses a simplifies its HUD to an arrow and a distance counter. The concept is simple: create a system that tells you where to go, but not how to get there. Think of it like a videogame map tool that enables you to define the route you take. The device connects to your smartphone via an iOS or Android app and uses your phone's GPS to work the magic of its navigation. It's backlit display is easy to read in sunlight and can be charged via USB. You can order one today direct from BeeLine for a very reasonable £99. D-Link is about to expand its growing portfolio of cameras with a model that comes with a 180-degree field of view, HD 1080P video and unique 'dewarping' tech. The DCS-2530L Full HD Panoramic Camera boasts a horizon-wide 180 degree lens with unique de-warping technology, enabling it to maximise the video quality with less distortion to the final footage. With built in night vision, motion and sound detection, you can view their home via their phone from anywhere in the world using the free mydlink app. Easy to set up and subscription free, the new camera features double layer security with the Wi-Fi Protected Access and powerful encryption technology to keep your feed nice and safe. You can order one today for only £135 direct from D-Link. StarTech.com has just launched a new range of Thunderbolt 3 products primed to support both new Windows and Apple products. These products include a couple of docking stations including one with dual 4K-video ouput (TB3DKDPMAWUE), one for charging a MacBook Pro and Thunderbolt 3-powered laptops (TB3DK2DPPDUE) and another (TB3DOCK2DPPD) offering extra ports and power. There's also a set of Thunderbolt adapters including a Thunderbolt 3 to DisplayPort adapter (TB32DP2T - pictured above), which connects to a single 5K display or dual-4K displays via DisplayPort cables, and a version for use with HDMI (TB32HD4K60). For more info on prices and availability, head on over to StarTech.com. Wahoo's KICKR, Climb and Headwind let you ride up a hill into a gale without actually moving. Is it worth the agony?